Michael DeFosche, a familiar face at WPA Day every year, passed away on October 18, 2018. He was an amazing musician, and a man of many talents. He will be missed. TN. He was 68 years old. guitar, banjo, and fiddle, but also restoring and building them. Funeral Home in Gainesboro, TN. 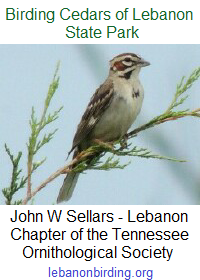 The Friends of Cedars of Lebanon State Park meets bimonthly and our next meeting is Saturday morning, 10 November 2018 at 10:00 AM in WPA Cabin 13 at Cedars of Lebanon State Park. We will have officer elections and make plans for 2019. If you love our Cedar Forest and want to help make it even better for current and future generations, please join us on Saturday, November 10.